Plot: Oskar Schindler is a vainglorious and greedy German businessman who becomes unlikely humanitarian amid the barbaric Nazi reign when he feels compelled to turn his factory into a refuge for Jews. 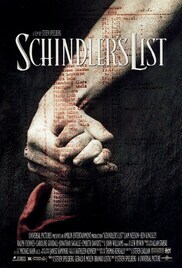 Based on the true story of Oskar Schindler who managed to save about 1100 Jews from being gassed at the Auschwitz concentration camp. A testament for the good in all of us.